New Barnstead Mega-Pure Disposable Deionizer Cartridge Catalog No. D400377 . New Life Scientific, Inc. 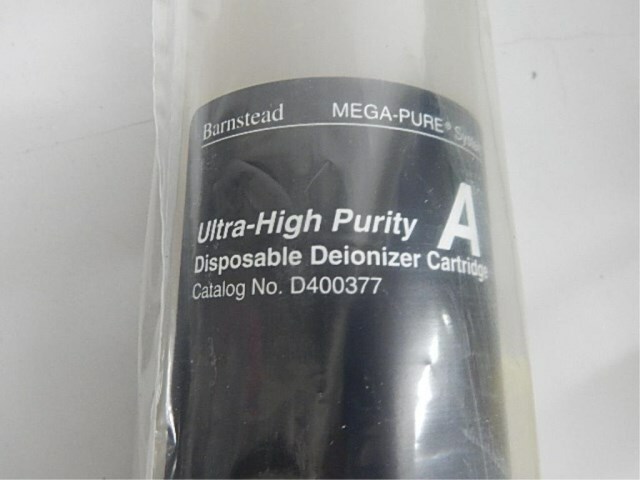 This new Barnstead Mega-Pure Disposable Deionizer Cartridge has a catalog number of D400377. It is in its original packaging. This product is warranted to be functional and is protected by our 90-day warranty.